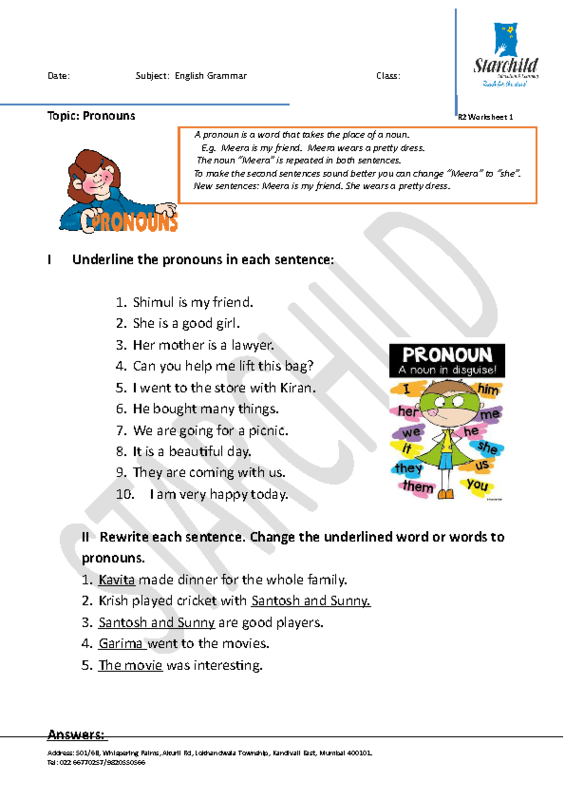 This is a simple worksheet about personal pronouns. There are two exercises. 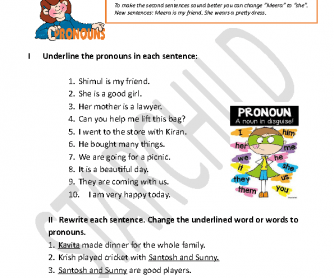 One which requires the student to identify pronouns and the other, where they must use them correctly by replacing the noun with a pronoun. It is useful for grade 1 or 2. Answers have also been provided.